Storage unit operators are used to finding some crazy things in their facilities. Even so, some items stand out from all the others. Occasionally, a storage facility owner will even find a body; the Tampa Bay Times reported a case in which a Clearwater, Florida, woman stored the corpse of her 95-year-old mother in her unit, because she couldn’t afford to send it up to a Georgia cemetery. In a more sinister case, the Associated Press reported the story of a body discovered in a Lewiston, Maine, facility that is believed to be the murdered girlfriend of the unit’s renter. She had disappeared in 1983, but only after the suspected killer died did anyone go through his storage unit. 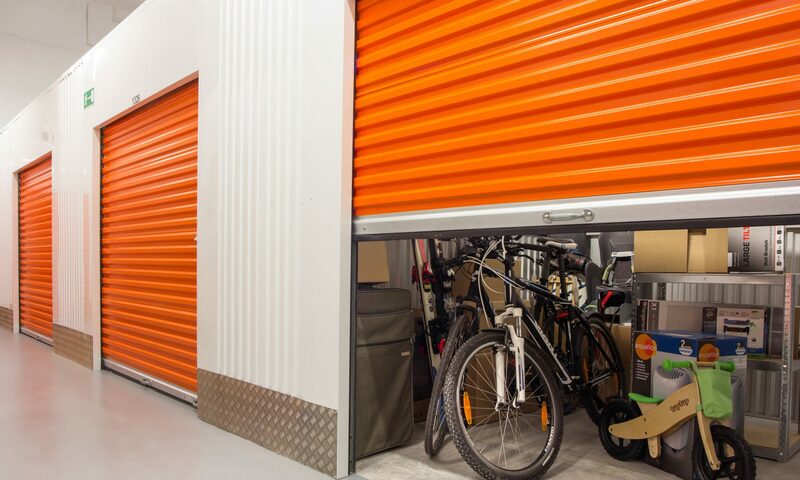 While it should be obvious to most people that bodies don’t belong in storage units, there are some less-obvious items you shouldn’t put in storage. Florida, Georgia, and California are among the top five states for identity theft, according to Lifelock. But no matter what state you live in, never be careless with your personal information. Keep your birth certificate, car titles, credit card bills and other sensitive documents in a safety deposit box or other secure location. ApartmentRatings.com warns that even canned goods are not safe in a storage unit. The extreme changes in temperature can cause cans to bulge or even burst. The only types of food that are even remotely storable are dried things like spices. The conditions inside a storage unit are not good for keeping things in pristine condition over a long period of time. Jewelry, real-silver silverware and other such items are subject to theft. The storage unit can be broken into, or a corrupt facility employee can just walk in using his key. Use a safety deposit box for these items instead, and decrease your chances of theft by using the safest lock you can put on your storage unit. This includes things like gasoline, fireworks and fire extinguishers. Anything that can ignite, explode or leak is prohibited. Some facilities consider cars and yard equipment to be hazardous due to the gas and oil they may contain, so ask about these machines in advance. Animals and plants, whether dead or alive, are generally not allowed. If they’re alive, they won’t be for long in the conditions found in a storage unit; if they’re dead, they’ll rot. Storage facility operators frown heavily on people using their units as makeshift houses. This is most likely because of a combination of liability issues and zoning restrictions. Bodies, stolen property and other such things are, naturally, prohibited.